Due to recent rain storms, CDOT maintenance crews have been clearing mud and rocks off highways across Southwest and South-Central Colorado. Work will continue, especially as more flash flood events occur. 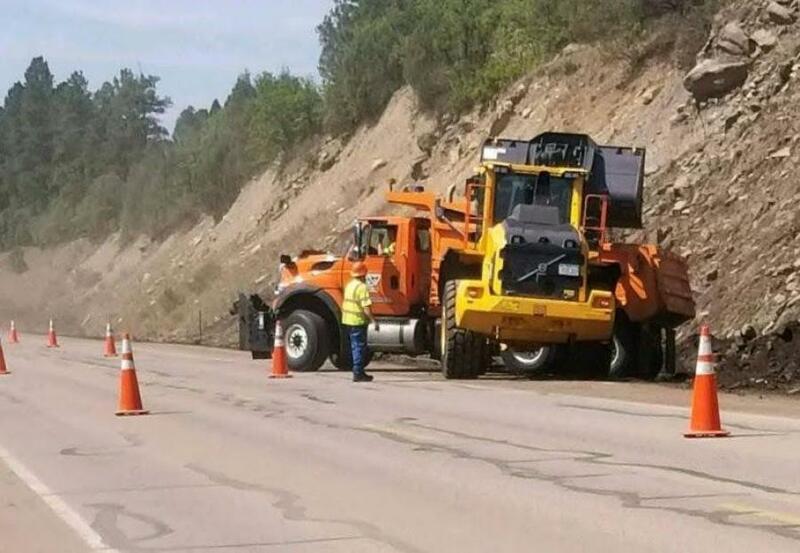 While summer rains and monsoons have brought needed moisture to Colorado's parched landscape, the torrential downpours also have kept CDOT maintenance crews busy with the clearing of rock and mud from Southwest Colorado roads. Shoulders, ditches and culverts on several highways were impacted at several locations due to debris flows during flash floods recently. An excessive amount of debris from the flows also has been deposited on the sides of the highways. Crews will be loading the excess dirt and debris to haul away. CDOT crews are cleaning out culverts to ensure the water inlets are clear for future water flows. Travelers should watch for cleanup operations on area highways. Most work is taking place on the sides and shoulders of the road; however, heavy equipment activity may require lane changes or the possibility of brief closures. Speed reductions are set in place at work zones. U.S. Highway 160 to MP 265-266, approximately seven miles east of Ft. Garland, on the west side of La Veta Pass. Be aware of weather conditions and travel with caution when heavy rains are in the forecast. Flash flooding, and mud or rock slides are likely to occur again.